Make all-natural juices, soups, baby food, sauces & more with your favorite fruits & vegetables! 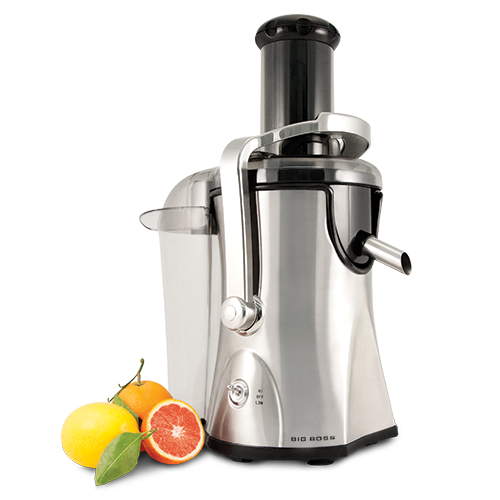 The powerful Big Boss™ 1000 Watt Juice Extractor accommodates whole fruits and vegetables with its large feeder tube, even the hardest produce. The elegant brushed steel body will not only look great on your countertop but will quickly provide the immunity boost with all your favorite fresh ingredients.